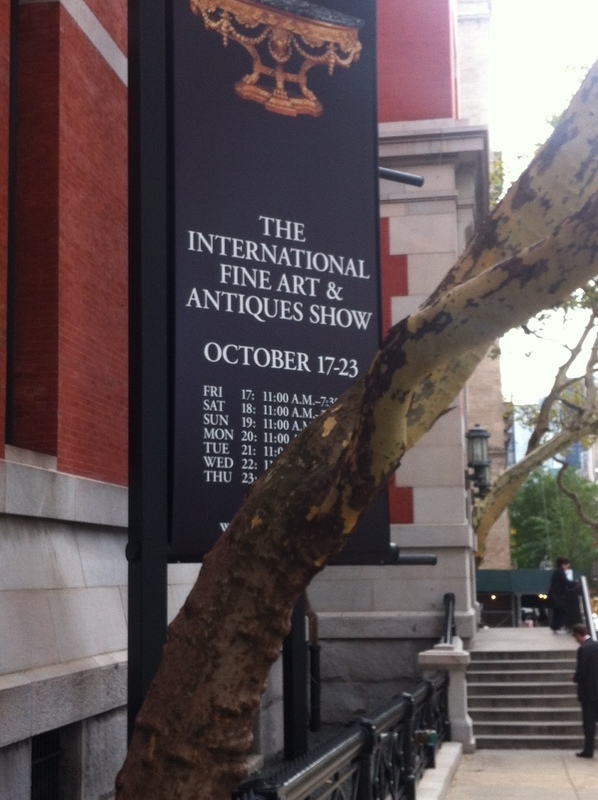 This past weekend I had the pleasure of attending the 26th Annual International Fine Art & Antique show at the Park Avenue Armory on 67th street. Talk about a dose of awesome! This place was packed with vendors from all over the world showing off their wears, ranging from 16th century tapestries, 18th century Indian art work, swords, sculpture, and of course fine jewelry. 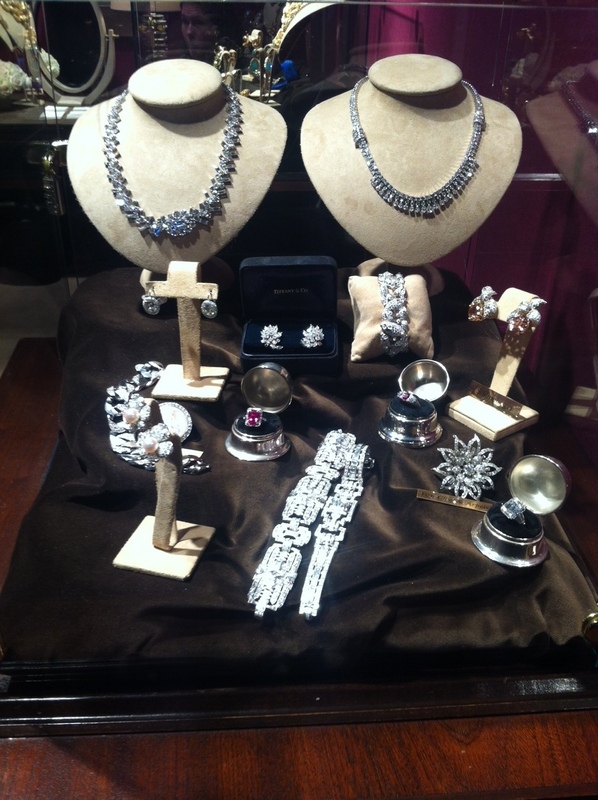 I was dazzled by the fine collections of Hancocks of London, Kentshire, Epoque Fine Jewels, and so many more. 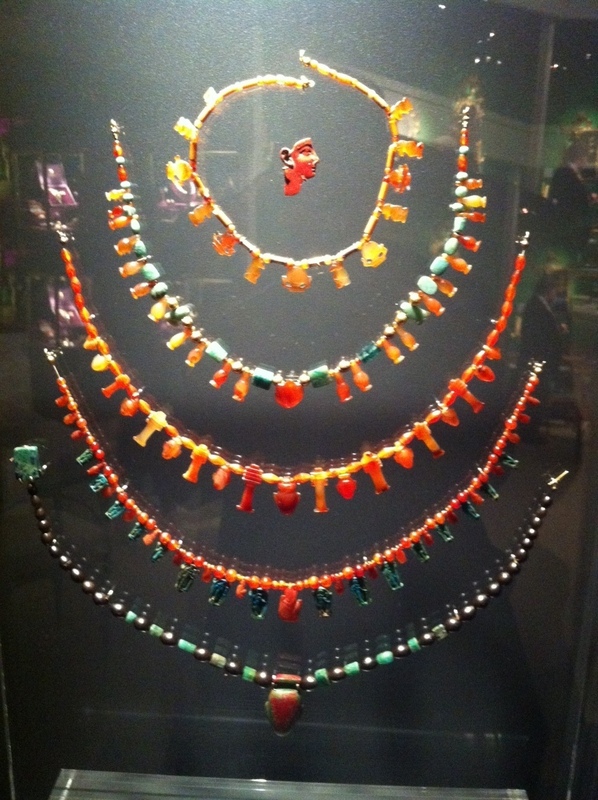 To see the mesmerizing array of diamonds, emeralds, rubies, sapphires and the like up close was truly a treat and a major inspiration for my work. 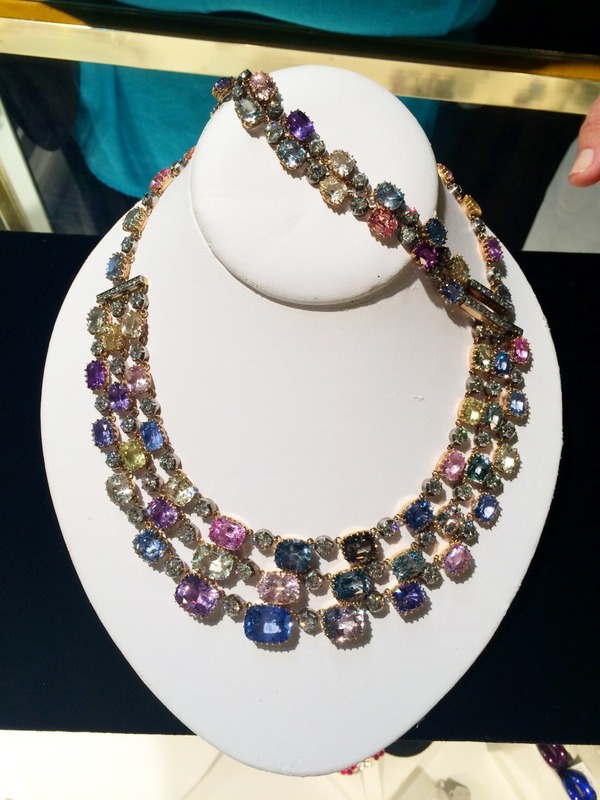 One of my greatest goals is to become a fine jewelry designer and dealer, and by taking in the sights such as this show, my passion only grows. 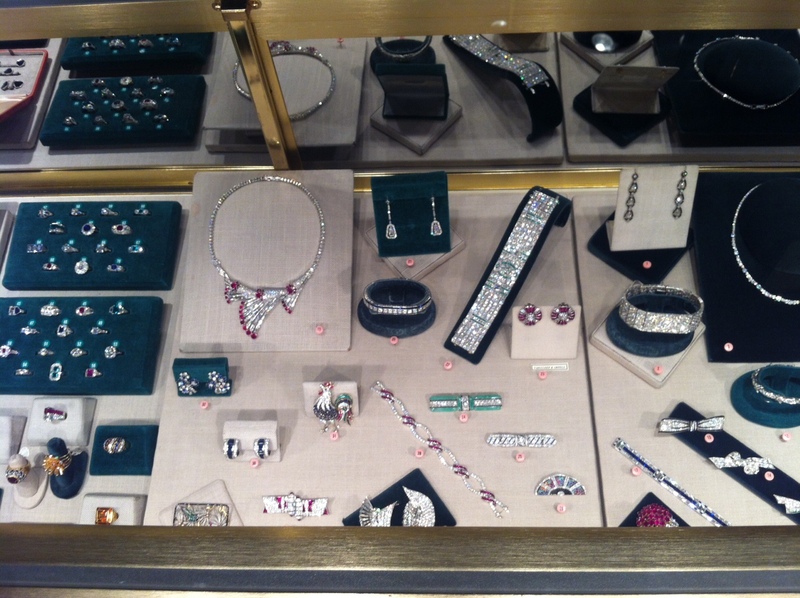 Some of the highlights for me were the incredibly detailed and delicate vintage jewelry pieces from the house’s of Cartier, Van Cleef & Arpels, and Schumberger for Tiffany’s & Co. 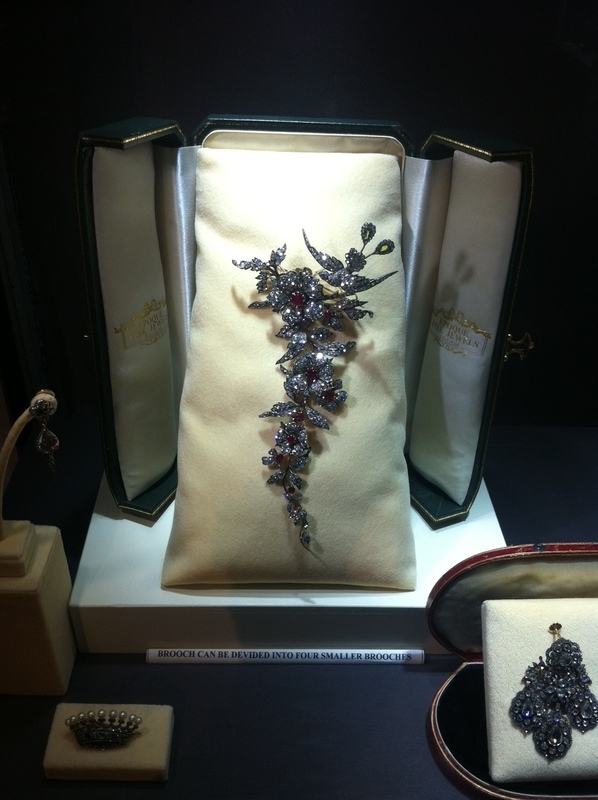 I enjoyed playing the game of “Guess what gem this is” with many of the vendors and was even allowed to try on a few pieces. Whenever I am around people that are knowledgeable in something that I wish to become knowledgeable in, I almost always ask as many questions as possible. 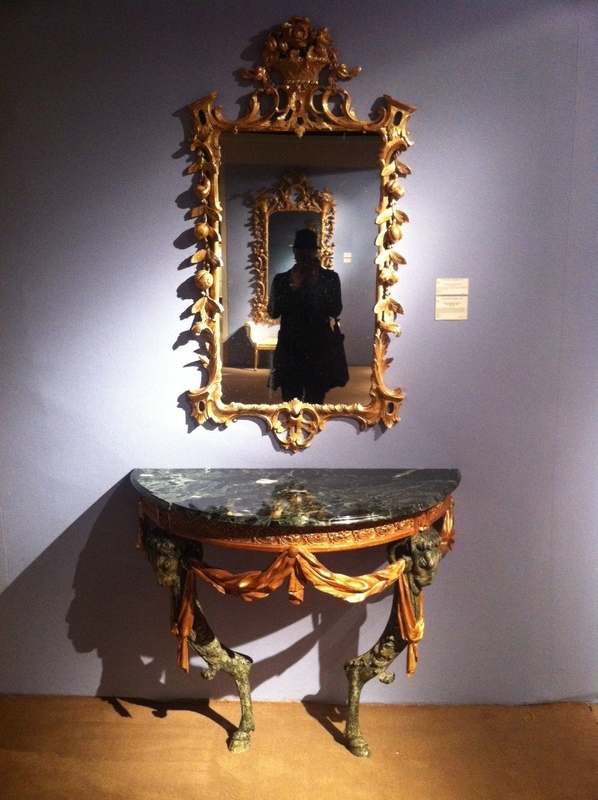 Its a great way to learn, memorize and draw inspiration when visiting exhibitions, trade shows etc. 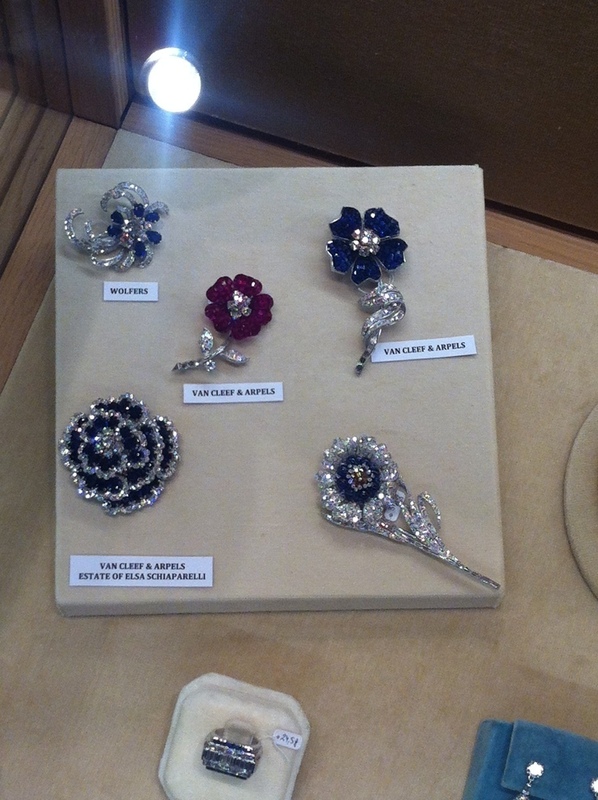 I adore these floral brooches of rubies, diamonds and sapphires, one of which (the bottom left blue carnation) belonged to the famous fashion designer Elsa Schiaparelli! 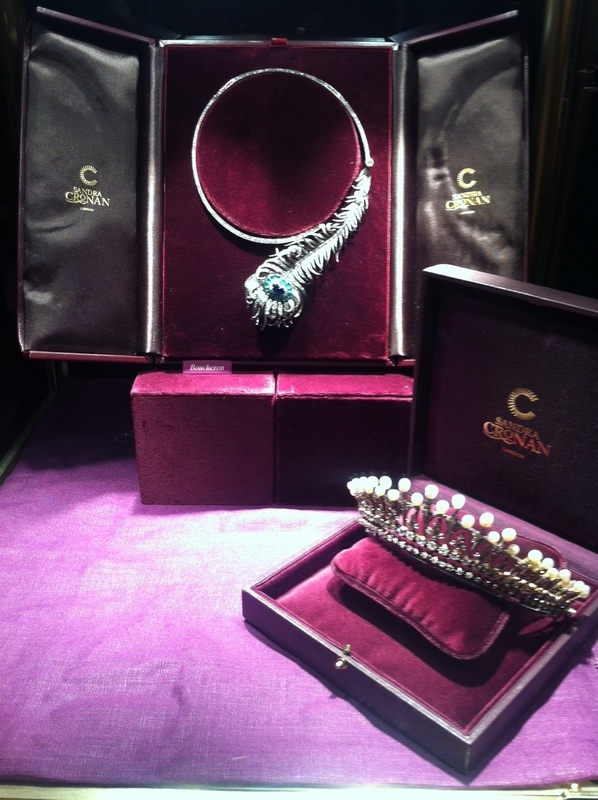 I had a wonderful time and I wish to thank the lovely vendors and staff who made my trip such a special one. 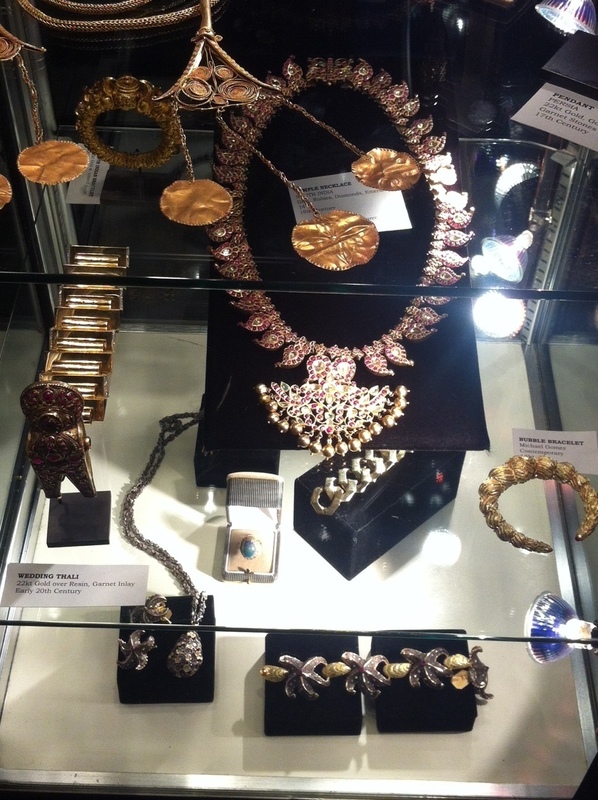 I would also like to thank Natalie from Jewels du Jour for the tickets, thank you so much! 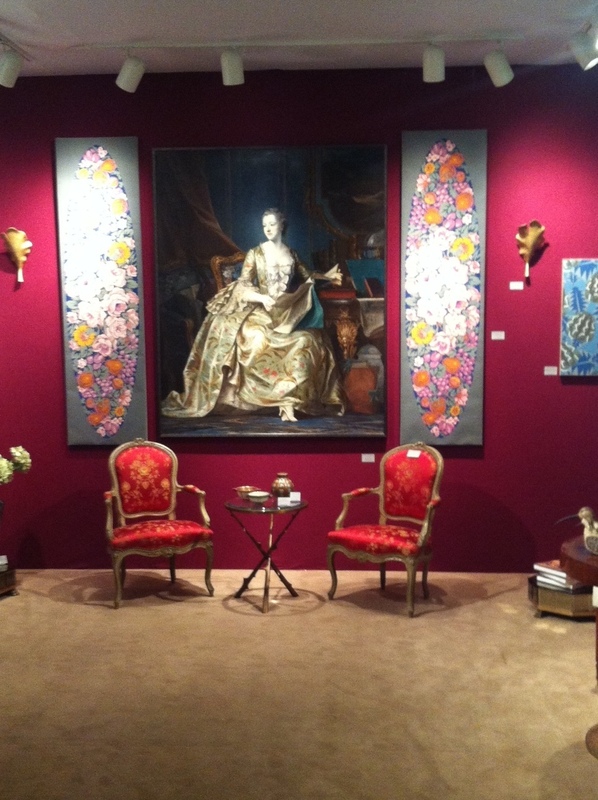 If you wish to check out the show, it will be at the Park Avenue Armory at 67th Street until Oct 23rd. 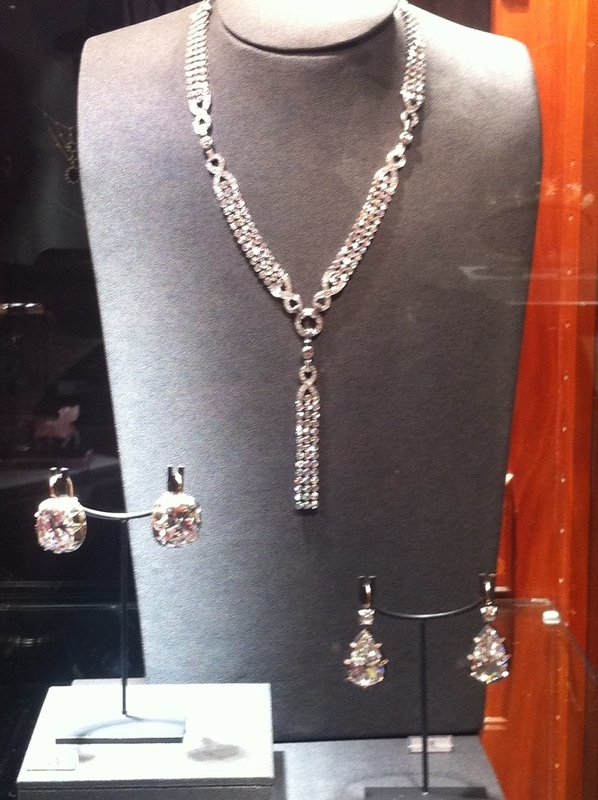 Visit Jewels du Jour they are giving a way a limited amount of free tickets! 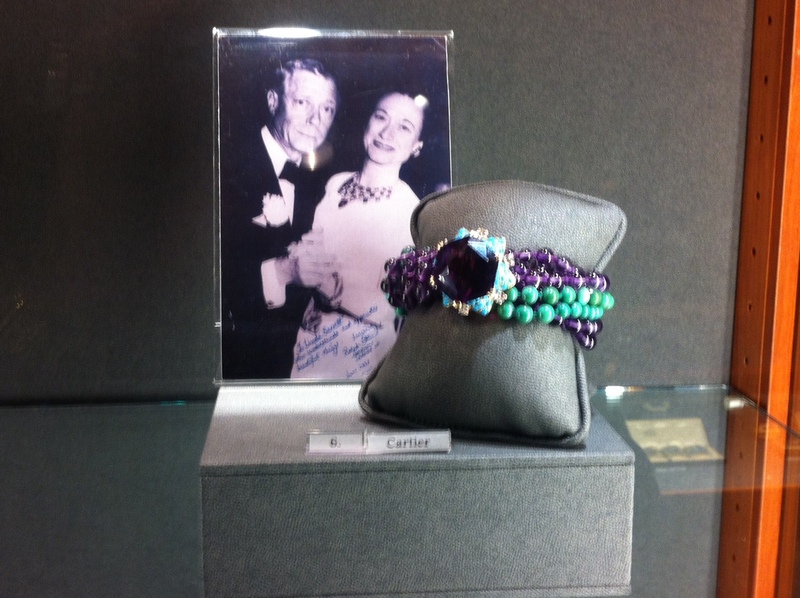 This entry was posted on October 20, 2014 at 12:22 PM and is filed under Nouveau Spotlight with tags Art, Cartier, Design, Diamonds, Duchess of Windsor, Emeralds, Inspiration, International Fine Art & Antique Show, Jewelry, Jewels du Jour, NYC, Park Avenue, Rubies, Sapphires, Van Cleef & Arpels, Wallis Simpson. You can follow any responses to this entry through the RSS 2.0 feed. You can leave a response, or trackback from your own site.